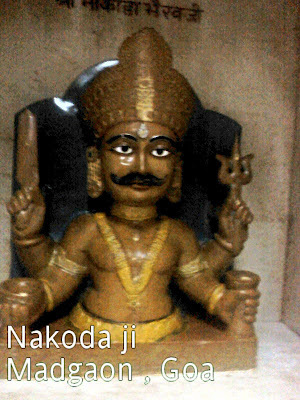 Nakoda Bheruji from Madgaon, Goa. IT IS NEAR MARGAO MARKET. 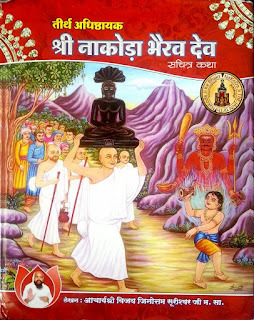 Mulnayak Bhagwan is SACHA SUMTHINATH BHAGWAN. It is two floor temple. There is facility o f Upashray, Bhojanshala and Dharmshala. Room tarrif is Rs.300.00.Total 13 rooms and 1 hall. There is a facility of Pooja`s clothes. Staff is very co operative nature. Opposite site there is STHANAKVASI Dharmshala & Bhojanshal.